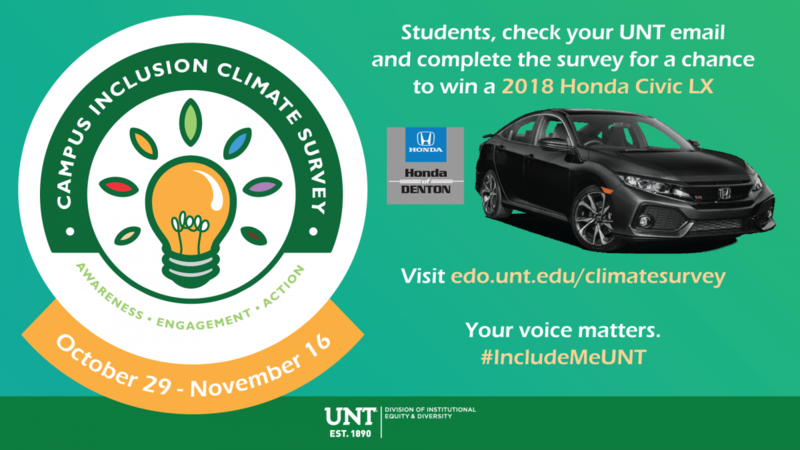 To encourage participation, incentives and promotional giveaway opportunities were provided for all students, faculty, staff, and administrators who completed the survey. Some incentives were awarded during the survey distribution for those who completed it and registered. Follow #IncludeMeUNT for incentive and other climate survey updates! *Honda of Denton will give, directly to a UNT student, a new Honda Civic LX Automatic with vehicle taxes and license/title fees included. 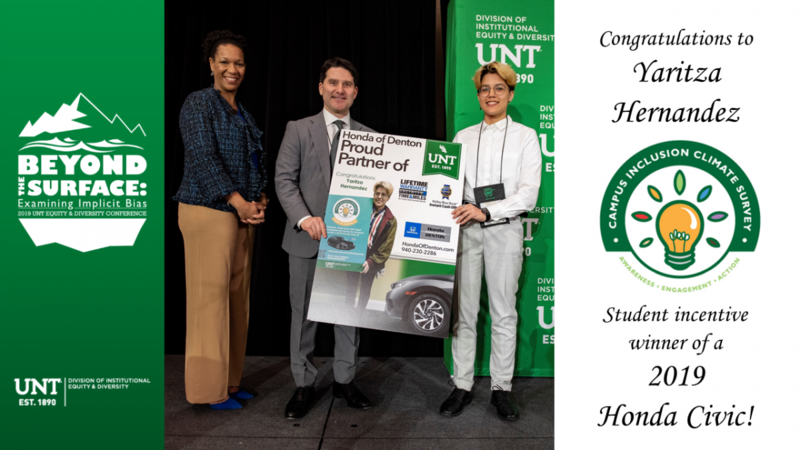 The student promotional recipient will incur any income taxes and may be required to provide completed a W-9 with Honda of Denton. Neither Honda of Denton or UNT will have liability for these amounts. All students who complete the survey are eligible for a dining coupon for a free slice of Mia's pizza, Scrappy's Ice cream, or a baked good to be distributed after the survey.